Another saturday treat is here! 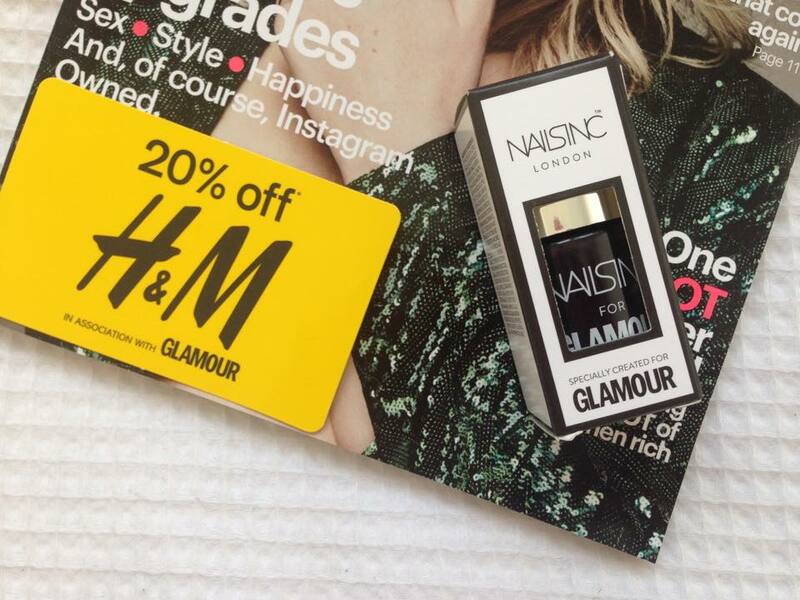 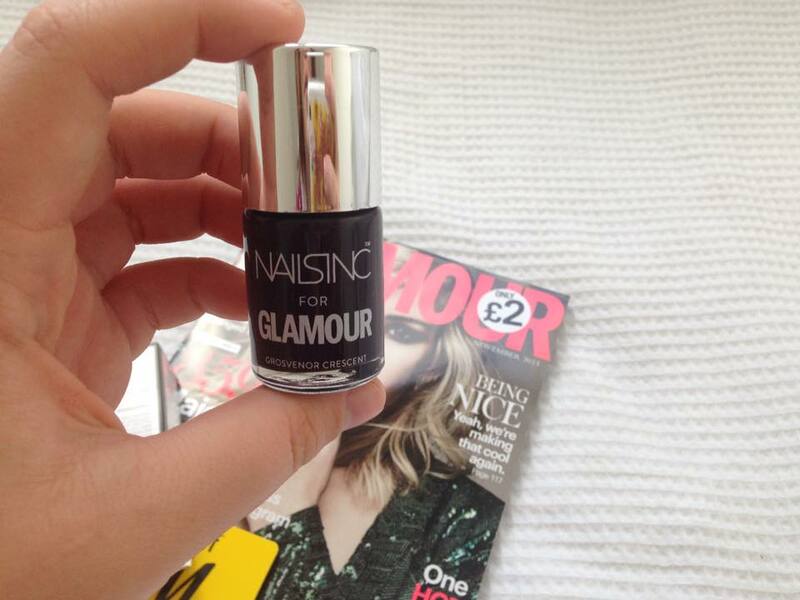 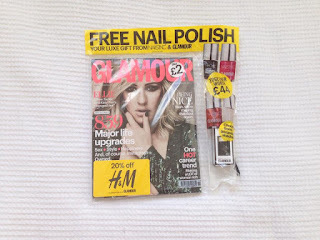 Glamour magazine is now on sale, in this edition, you receive a 20% H&M voucher and a full size Nails Inc nail varnish! 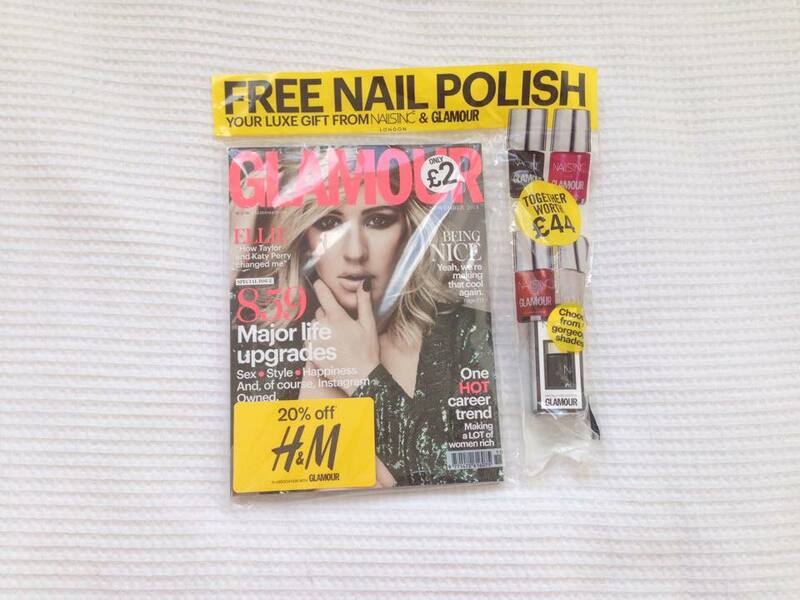 Nails inc nail varnish usually cost around £14, so buying this magazine for only £2 is an amazing offer!